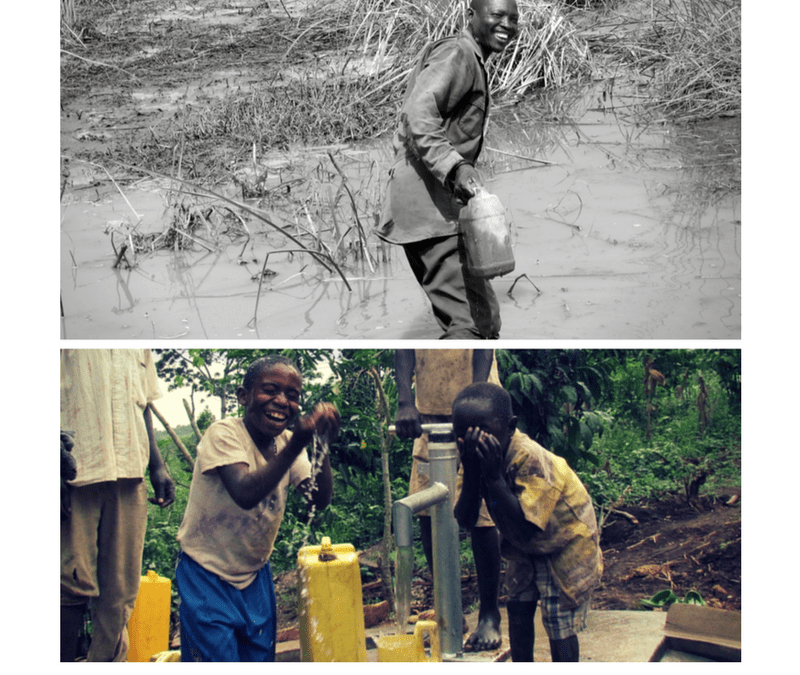 Children at the Sekamatte Shallow well, Wakiso, Uganda, 2015. March is Water Action Month. This month provides us with an opportunity to define and illustrate what safely managed water and sanitation means and why no one should be deprived of it. According to the World Health Organisation, safely managed water and sanitation services refers to water ” available on premises, available when needed and free from faecal and chemical contamination “. It is easy to take clean and accessible water and sanitation services for granted as for some of us they are readily available in our everyday lives. However, this is not the case for everyone. In fact, Sanitation and Water for All (SWA), a global partnership organisation, states that 2.4 billion people, or 30% of the population, live without adequate sanitation facilities. Another startling statistic reads that 800 children every day die from unsafe water, lack of basic sanitation and poor hygiene. Collecting water via tippy tap. Uganda. These services are part of our basic human rights. In July, 2010, the United Nations General Assembly recognized the human right to water and sanitation. Without safely managed water and sanitation services, a country’s population can face a decline in health, growth and productivity. This is why one of the core principles of Water Action Month “leave no one behind “ is so important to us at Aidlink. For us, this core principle focuses on reaching the most marginalized groups within Sub-Saharan Africa and helping them achieve the sustainable development goal of clean and accessible water and sanitation. This right is fundamental to the realisation of all human rights. It is a vital component of all our development initiatives. A protected spring, Kibaale, Uganda, 2015. Kaiguta Village is one of Aidlink’s target communities. It is a rural community in Kagadi, Uganda where the majority of the population are small holder farmers. The village had no well of its own. As a result, women and children from Kaiguta trekked up to 5 km daily in search of clean and safe water. This meant carrying heavy loads for a long period of time. Vulnerable community members, such as the elderly or people with disabilities, who were unable to walk the long distance resorted to collecting water from unprotected and unsafe sources such as ponds and swamps commonly shared with animals. As a result, this meant the presence of a high rate of waterborne disease in the community. In 2016, Aidlink supported the construction of a shallow well in the village, along with the training of a local Water User Committee. 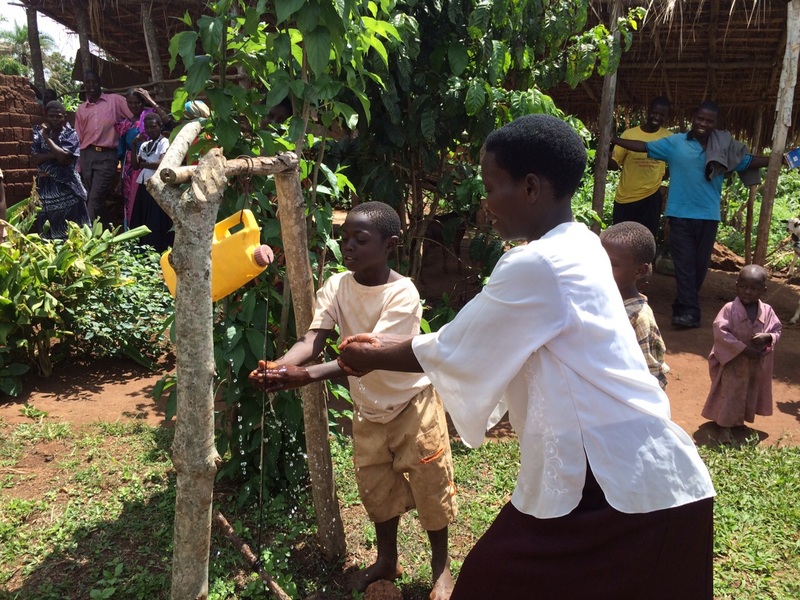 Ms. Charity Muhabwa, a Village Health Team member remarked on the impact this well had the community, mentioning that “…the burden on women and children walking long distances to collect water has been reduced as most households are now less than 1 km from the shallow well. With your continued support, we can continue the development of WASH facilities within Aidlink’s target communities in Kenya & Uganda. For more information on Water Action Month, please visit here. For more information on Water, Sanitation & Hygiene (WASH), please visit here. 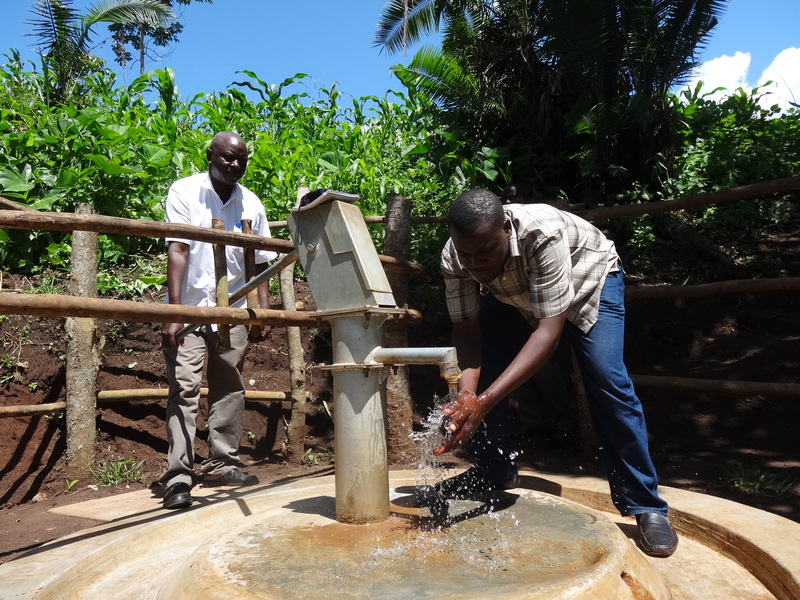 For information on improvements on WASH in Aidlink’s target communities, please visit here.